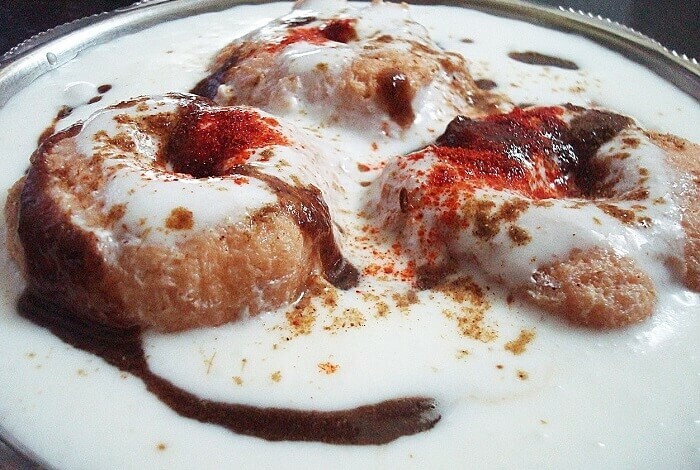 Dahi Wada or Dahi Bhalla are almost same as far as the main ingredients: wada and dahi are concerned. Dahi Bhalla is a ‘chaat’ which is topped with sweet tamarind chutney, some times green chutney (mint, coriander and green chilli chutney) and fresh chopped coriander leaves. You may also top it with some sev (savoury crunchy Indian noodle snacks made of gram flour). 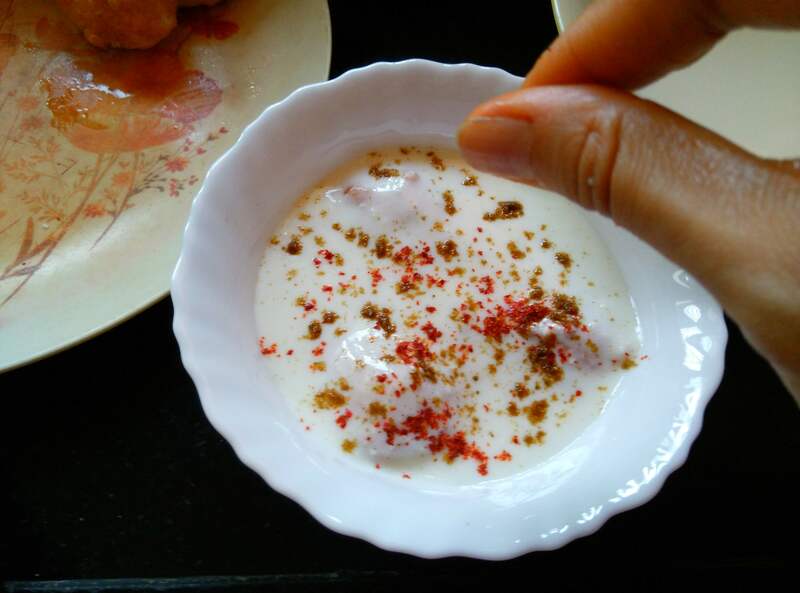 Whereas Dahi wada can be simply topped with ground cumin and red chilli powder. The secret of the best dahi wadas are how soft the wadas are and the aptly sweet (and not sour) dahi (curd or yogurt).I like my dahi to be sweet than most of the other preparations. So what are we waiting for? Lets get started. Ground cumin (jeera powder) and red chilli powder. Grind the urad dal with some salt and very little water until smooth. The batter should be thick. Meanwhile heat oil in a kadhai for deep frying on medium flame. 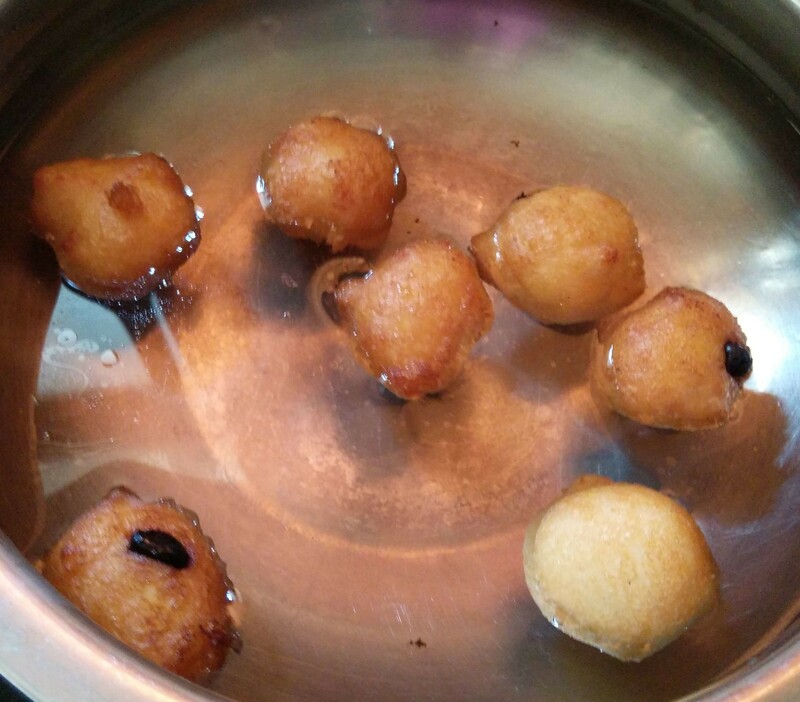 Drop a small portion of the batter into the oil to test if the oil is hot. If it surfaces the kadhai, then the temperature is right, if it sticks to the bottom then you need to heat the oil for some more time. But do not increase the temperature, prefer to wait for some more time. This would let the oil heat up at the right temperature and when you put wadas into it, they won’t burn. 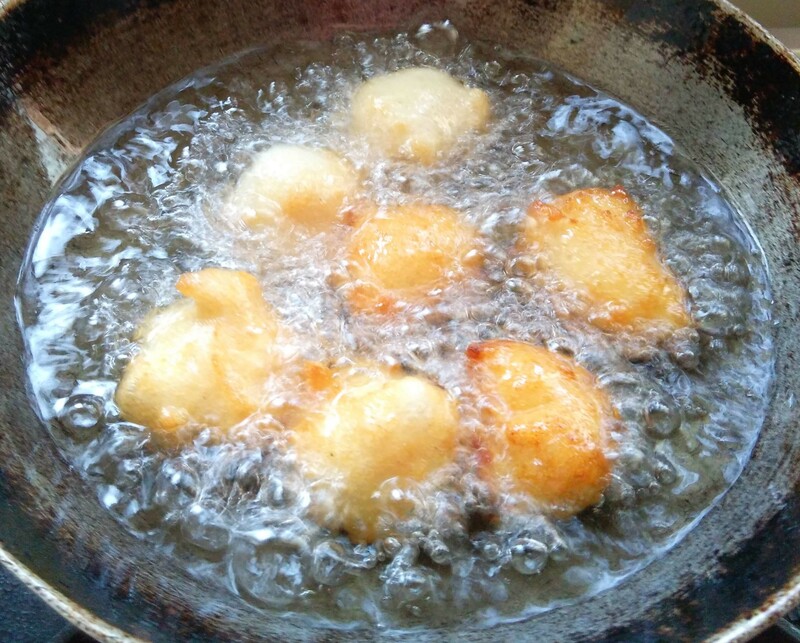 Drop small portions of batter into oil and fry them on low-medium flame in batches at a golden brown color. Drain and drop them immediately into water. Dip them well for a good 5-7 minutes or until you see them nicely soaked in water. 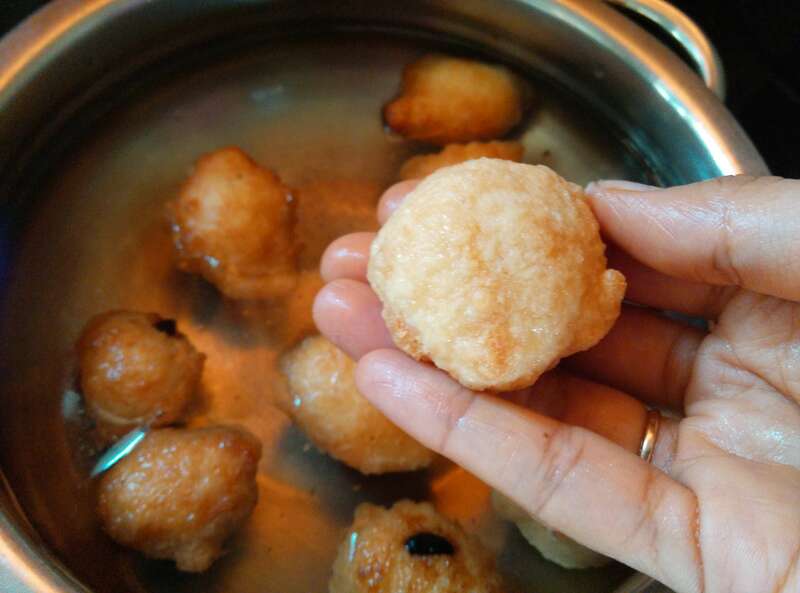 Then place each wada in between your palms and press gently to remove all the water from them. Make sure you remove all the water from the wadas and do not break the wadas. 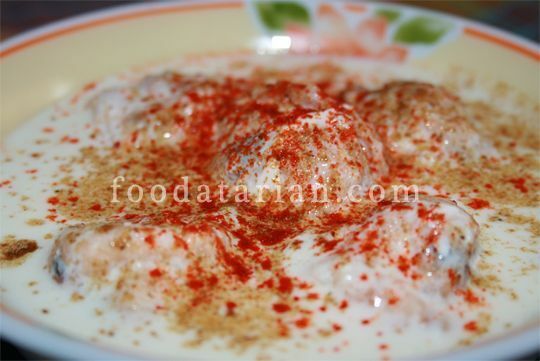 If any water remains in the wadas, they will not taste good when you add dahi to them. 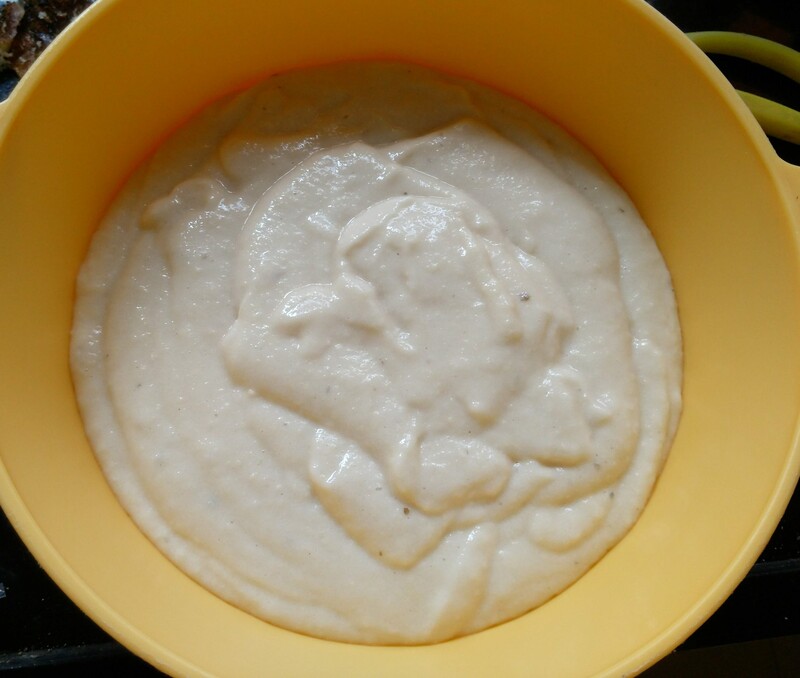 Mix all the ingredients of dahi and beat well until sugar has dissolved completely. 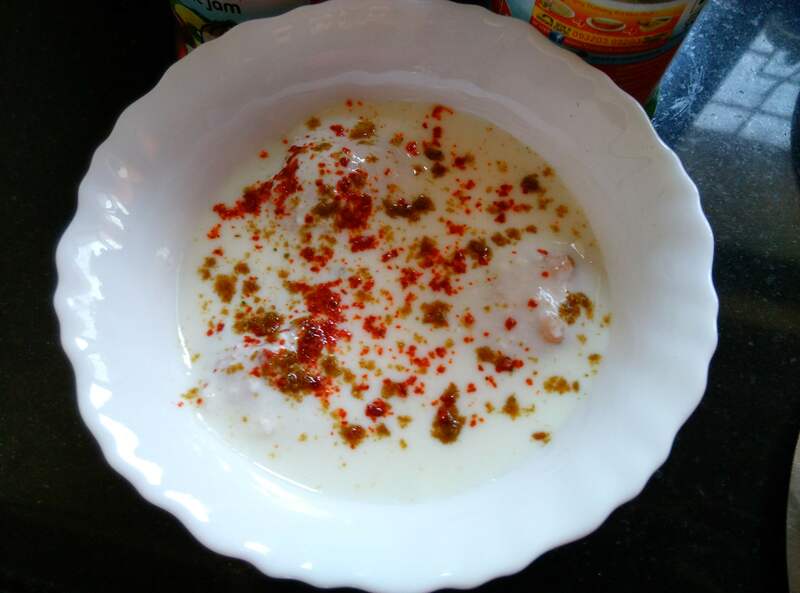 While serving place wadas into the bowl, top with dahi (yogurt mixture) and sprinkle ground cumin and red chilli. 1. 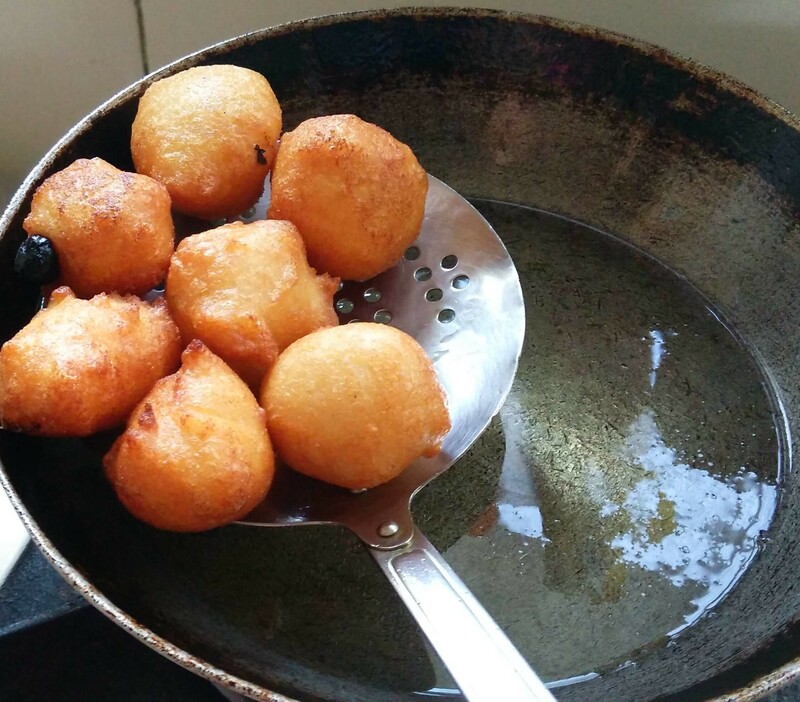 If you like savoury wadas add chopped ginger, green chillies, coriander leaves to the batter. 2. If you like sweet wadas then add raisins and cashew nuts to the batter.